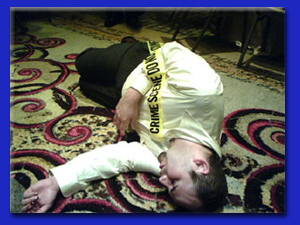 For companies looking for entertaining methods for team building and employee appreciation, THEY improv provides a variety of fun approaches for murder mystery dinners in the Bahamas for a variety of groups and gatherings. Hire THEY improv for a customized Bahamas murder mystery dinner show just for you. Yes, the perfect way to enhance any corporate event, banquet or private party is a customized Bahamas Murder Mystery dinner show written just for the group and venue involved in your island private party or corporate event. 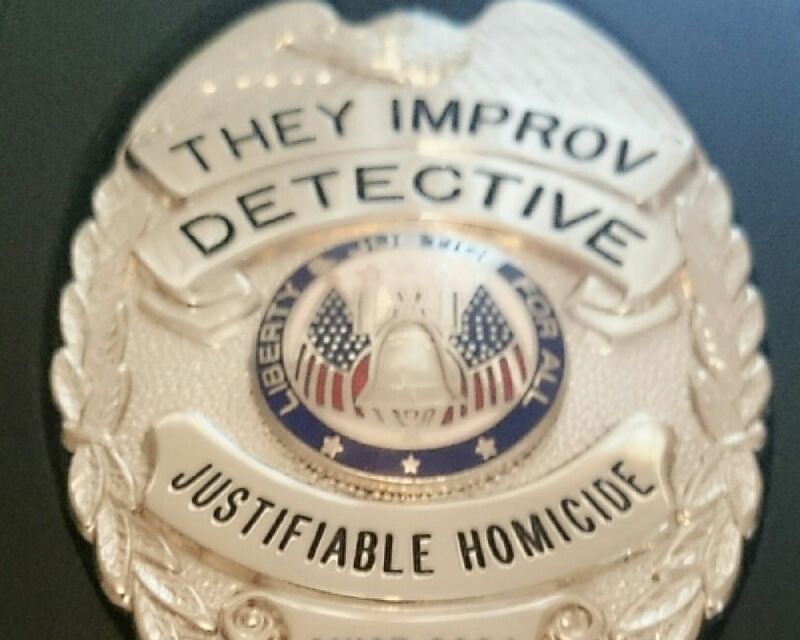 Perfect for corporate events, weddings, dinners, family gatherings or charity fundraising as part of our Justifiable Homicide program! Actors from THEY improv come together and set up a Bahamas murder mystery dinner or luncheon that the audience helps to solve. With a cast of crazy characters performed by some of the area's top improvisational talent interacting directly with the participants of the event, attendees help examine clues, evaluate witnesses and alibis, choose from a variety of suspects and determine the culprit while enjoying entertainment from some of the Caribbean's top interactive comedy performers. 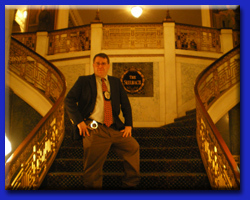 Once THEY begin, your audience will meet and talk with the crazy cast of characters, witness a crime and then work to solve the crime, all without CSI Miami's crime lab! Laugh along with our professional, but bizarre, crime solver, as audience members help him interrogate suspects and work his way through the winding maze of clues. This often makes audience members shine, which is perfect for meetings and incentives awards gatherings, leaving employees with a sense of being appreciated. Often performed as a Bahamas murder mystery dinner, the story unfolds as the audience enjoys top catered food at quality banquet halls throughout Nassau, Freeport Grand Bahama, Atlantis Paradise Island or anywhere else in the islands. THEY improv comes to your venue and tailors the event to you. Taking in the environment, attendees and current events, the plot is worked to perfection and even adjusted as the evening progresses. Likewise, the scripts can be adjusted to bring your audience members under suspicion. They can be interrogated and engaged in a roast type of environment. They can be found innocent by the audience with them getting applause. 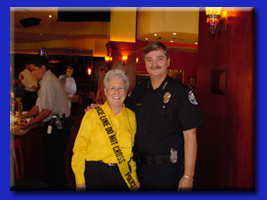 If you prefer, we can keep them as key suspects by using information known about their past to dig them deeper into the Bahamas murder mystery dinner. 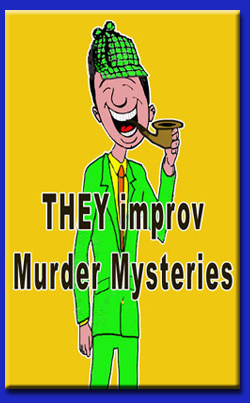 Contact us today to learn about how THEY improv can bring you the Bahamas murder mystery dinner show or luncheon that will have all your friends talking about for years! Bahamas murder mystery dinners are held at this primary destination for companies around the world looking to get away from it all. With beautiful hotels with full conference centers, and access via cruise ships that are constantly visiting the islands, there is a constant collection of corporate events coming to the islands. We service the area from our South Florida headquarters. This means Bahamas murder mystery dinner corporate event shows do require that travel and lodging be provided by our clients as well as certain logistical issues must be covered. But with the proximity of South Florida, this is still much less expensive than counterparts in other parts of the United States.